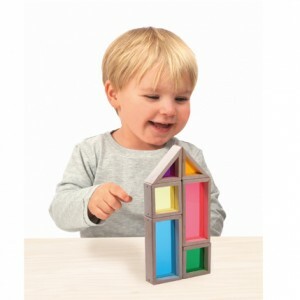 See through rainbow blocks are the beautiful pieces of classic toy. 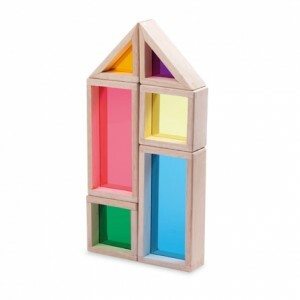 Children can play as it is or mix them with other wooden blocks to make even more creative construction play. Children can put each color block on the piece of graphic paper provided and look through to find out which color of car is missing! Build your own town! 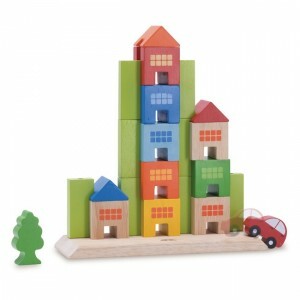 First, set up the pillars on a basement and then slide in more blocks to make your town as tall as you can. 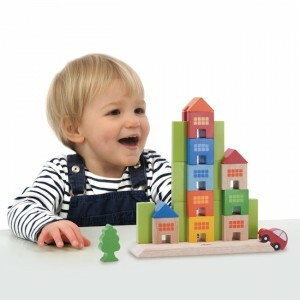 The Sliding Town will help nurture hand-eye coordination and concentration. Comes complete with a car and tree for a perfect setting.